Birkdale Place is located in Milton, Ontario. Set on beautifully landscaped grounds, this retirement residence offers timeless elegance with modern convenience and exquisite rich interiors with a cozy ambiance. Just a short drive away from downtown, you can spend the afternoon shopping, visiting the farmers’ market, or enjoying a scenic hike along the Bruce trail. Some residents say life at Birkdale Place is like living in a grand hotel with all the comforts of home. Our residence features a warm reception area, beautifully landscaped courtyards and cozy fireside lounges. Spacious suites are ready to furnish in your own style and taste. Everything here is designed for you to enjoy your independence, privacy, and a full social life where you can come and go as you please. For a Tour, ask for Laurie at 1-877-929-9222 and let them know danceScape referred you to them. 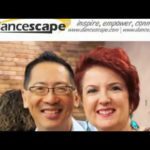 danceScape’s mission is to inspire others to laugh, be fit, make fun friends, and experience confidence, mindfullness, and romance through dance – Ballroom, Salsa/Latin, Swing/Jive, Wedding Dance, danceTONE fitness, danceFLOW qigong/taichi and Teacher Training. Our on-site club locations and online social media channels connect couples and singles from cross generations to live fun, fearless, and magical lives. We teach students to gain confidence in themselves, not only on the dance floor but also in their personal and work life. Company founders are Robert Tang & Beverley Cayton-Tang, as seen on Dragons’ Den (CBC Television), Healthy Gourmet (Oprah Winfrey Network), ParticipACTION’s “Get Inspired. Get Moving.” Fitness Campaign, and the Marilyn Dennis Show (CTV). They were 3-time Canadian and 2-time North American Ballroom Champions who left their corporate jobs to live the creativepreneur life. Subscribe to all their social media channels for upcoming NEW blog posts and articles that inspire, empower and connect other creative entrepreneurs in the arts, dance, fitness and wellness industries – facebook, instagram, youtube.